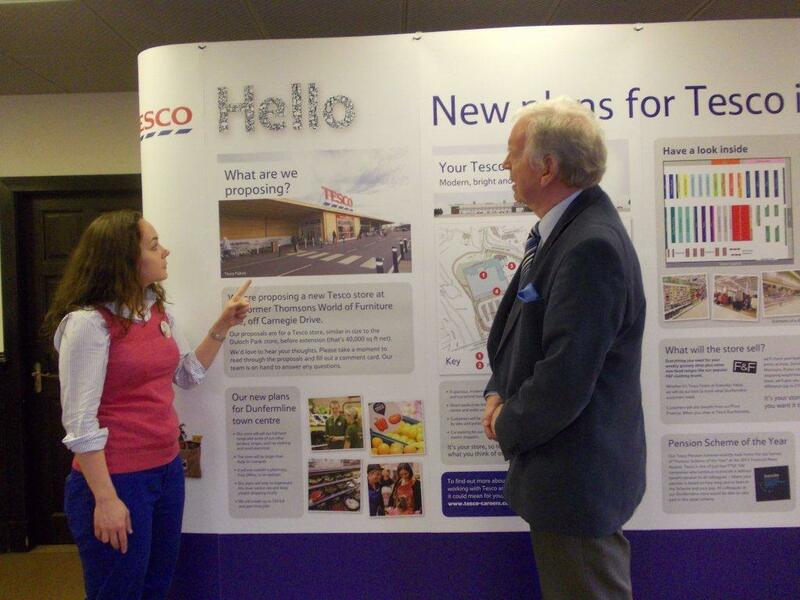 Local MSP Bill Walker has welcomed confirmation that Tesco hopes to open its new store on Carnegie Drive, Dunfermline, by autumn 2014. “The people of Dunfermline have waited a long time for the new Tesco, so I very much hope there will be no further delays. Tesco say they don’t anticipate any problems when they submit a new planning application in autumn this year, as permission for their original proposal was previously granted. “The store will create 250 jobs, both full-time and part-time. I also hope it will help with the regeneration of Dunfermline by bringing more shoppers into this end of town, which has been quiet since Thomsons relocated. For that reason, the three-hour time limit in the car park is welcome and should encourage shoppers to come into the centre of town too. The new store has been scaled down from 60,000 sq ft to 40,000 sq ft. The bright and modern design, of timber and glass, will resemble the Falkirk store. The store will stock a full range of food, plus some other ranges such as clothing and small electricals.